Greg was born and raised in Coquitlam, B.C., a suburb of Vancouver. Greg has been married to his wife Tabitha since 1990 and they have two sons and two daughters and a grandson. In 1985, Greg began a 16 year career with the Corrections Branch of British Columbia working at the Lower Mainland Regional Correctional Centre (Oakalla Prison) in Burnaby, B.C. In 1992, Greg and his family moved to Fort St. John, B.C. in order to pioneer the Electronic Monitoring Program in the Peace Region which facilitated incarcerated offenders serving their sentences in their homes. While still working with the B.C. Corrections Branch, Greg and his wife ventured into the business world by starting a hot tub sales and service company which quickly grew and expanded. For six years, Greg also provided Federal Parole supervision under contract with the Correctional Service of Canada in the Fort. St. John, B.C. area. 2001 brought a big change when Greg resigned from the Corrections Branch. Greg and his wife Tabitha sold their business and home and moved to Medicine Hat with their four children in order to serve at the Dream Centre Church. Greg resigned from the church in 2017 and launched a new career in both residential and commercial real estate – serving the community of Medicine Hat in a whole new way. For the previous five years, Greg has sat on the Medicine Hat Police Commission and has been Chair for the previous two. Sandra is a wife, parent of two grown boys, a Speech-Language Pathologist for 25 years and as of December 2015, a Board Certified Behaviour Analyst. She is the proud owner of Speech & Language Works Inc. since its inception in 2000. The team provides communication and behaviour services throughout the community of Medicine Hat and surrounding communities including Brooks. As with many Medicine Hatters, her origins are in Saskatchewan, moving with her husband and small children to the city in 1998. She loves this community and tries her best to participate as much as possible and has volunteered in many capacities over the past 18 years. Most recently, Sandra has volunteered for the Medicine Hat Women’s Shelter for the past ten years; volunteering on the board of directors, serving as secretary and chair and helping with events such as galas and adopt-a-family. She is an active member of Sunrise Rotary and also a member of the Medicine Hat Therapist Assistant Advisory Board. Sandra is very passionate about her community and believes in all it has to offer. The Medicine Hat Police Service is a very vital part of our community and she looks forward to contributing to the Medicine Hat Police Commission. Mandi Campbell was born and raised in Southwest Saskatchewan. She worked on the farm until she took up residence in a few Alberta towns until settling in Medicine Hat permanently in 2001. Mandi went to school for a nurse aid and was employed by the Good Samaritan Society and the Medicine Hat hospital. She married her husband and together they formed their own company managing vacation rentals in Medicine Hat and Canmore. She has served on the Urban Parks and Recreation board and took part in the committee for civic nominations. Mandi is an avid fitness maniac and is always taking on new challenges. She has participated in mountain trail runs, the New York City marathon, Las Vegas marathon and many others. She is passionate about health and community and is always eager to learn new tasks. Mandi and her husband are proud parents of their puppy dogs. Mandi is extremely proud to serve on the Police Commission. She believes community safety is crucial and intends to fulfill her position as a board member as a priority. 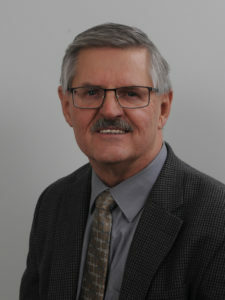 Ted Rodych is a retired General Manager of Medicine Hat Co-op and South Country Co-op in Medicine Hat and Vauxhall, Alberta respectively. He retired in October, 2014 and currently resides in Medicine Hat. Ted Rodych was born in Ituna, Saskatchewan on June 24, 1953. 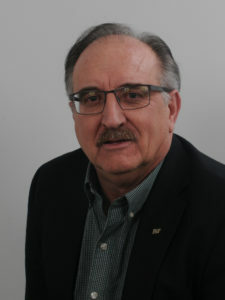 He graduated from Yorkton Regional High School in Yorkton, Saskatchewan in 1972 and from Saskatchewan Technical Institute at Moose Jaw with an Accounting Major in 1974. He attended numerous training sessions throughout his career including Babson College in Boston and Ivey University in London, Ontario, Canada. In June 1974, Ted Rodych started working for Federated Co-op as an Accountant Trainee. From 1974 to 1986, he held numerous positions from Accountant, Office Manager, Retail Accounting Supervisor, Finance Supervisor, Finance Manager and Controller at 5 locations. In 1986, Ted transferred to Retail Operations as Retail Advisor at Federated Co-op in Calgary, Alberta. In 1989, he transferred to Outlook, Saskatchewan as General Manager. He was there for 4 years and then transferred to Drumheller, Alberta for 2 years and then to Medicine Hat Co-op, Medicine Hat, Alberta in 1995 as the General Manager. He held that position until his retirement in 2014. In addition to that position he took on the General Manager role of South Country Co-op in 2011. Ted Rodych has been the General Manager of Medicine Hat Co-op for 19.5 years and South Country Co-op for 3 years. He grew Medicine Hat Co-op from sales of $24 million to $250 million in that time and South Country Co-op grew from $80 million to $170 million in sales. Upon his retirement both retails had a very strong net profit and a very strong and healthy balance sheet. Both Co-ops are retail organizations that operate food, pharmacy, liquor, gas bars, bulk petroleum, cardlocks, agriculture, hardware, fertilizer and tenant departments in 15 communities across Southern Alberta. Total employees employed was over 500. Ted is married to Donna and have one daughter. He is an active community supporter and is involved in several organizations. He is the past president of the Sunrise Rotary Club, past president of the Co-op Managers Association, past Director of the Southeast Community Foundation, Finance Director of the Special Olympics 2017 games which was held in July 2017, committee member of the Finance Committee at the Holy Family Parish and a member of various other smaller organizations. Terry was born and raised in Medicine Hat. After graduating from Medicine Hat High School, he went on to complete his Electronics Engineering diploma at SAIT in Calgary. Terry ended up returning to the Hat to begin a 37-year career with Defence R&D Canada (DRDC) at Suffield, during which he also spent one year at Royal Military College in Kingston on an Army Technical Staff program. His last management positions at DRDC were Head of Field Operations and Business Development Officer. Terry returned to work with QinetiQ Target Systems in 2016, where he continues to be employed part-time. He has been actively involved with community organizations, having served as a director on various boards including Economic Development, Praxis Science Society and Connaught Golf Club. As an avid sports fan, Terry has also found it highly rewarding to organize programs and coach youth sports teams in golf, hockey and basketball. Terry and his wife Esther have one son, and they look forward to continued involvement in the community. They both enjoy giving back through volunteer activities, and feel truly fortunate to have access to the many benefits and services our City provides. Robert was born in Oyen, Alberta on February 22, 1971. His family moved to Medicine Hat in the fall of 1972. Robert has 7 siblings – an identical twin brother and 6 sisters. He has been married to his wife Pamela for 18 years – they have 4 children, 2 boys and 2 girls. Robert graduated from Monsignor McCoy High School. Following that, he attended the Medicine Hat College before completing his Bachelor of Education Degree at the University of Calgary. Robert also holds a Master of Arts Degree from Gonzaga University with a specialization in Educational Leadership. Robert is employed by the Medicine Hat Catholic Board of Education and is currently the Principal of St. Francis Xavier School. Robert is proudly serving his 5th term as Councillor with the City of Medicine Hat. Julie Friesen is a Community Development Officer with Alberta Culture, Community Development Unit. She brings a wealth of diverse experience and longstanding commitment to her community over many years and across many sectors.Julie offers demonstrated leadership in an immense variety of volunteer and employment roles in the not-for-profit, voluntary and public sectors – locally, regionally and provincially. Her career has been centered in the “people business” through human service organizations; playing a key role in leadership development, board development and governance, strategic/business planning, organizational development, collaboration building, community, program and volunteer development to name a few. Prior to her current responsibilities, she designed and administered Health Canada Prenatal Nutrition and Early Childhood Intervention programs and was instrumental in the development of several community collaborations that helped support and sustain the broad determinants of health. She also served as a Board Development Instructor for Alberta Community Development. As a longstanding community volunteer herself, Julie has served on countless Boards of Directors. She brings many years of experience with Family and Community Support Services (FCSS) locally and provincially, and shares a wealth of expertise in police governance, having served as Chair of the Medicine Hat Police Commission and Alberta Association of Police Governance as well as the Protective Services Task Force of the Alberta Urban Municipalities Association (AUMA). Examples of other community leadership roles are Past President of United Way of Southeastern Alberta, the Medicine Hat Library and Shortgrass Regional Library System Boards of Trustees, Cypress View Foundation, Palliser Economic Partnership Board of Directors and Southeast Alberta Watershed Alliance. Julie is currently serving her seventh term as Councillor in the City of Medicine Hat. Having been either Chairman or senior member of all standing committees of Council, her experience as an elected official and involvement throughout the municipal sector locally, provincially and federally round out the breadth of expertise she brings to the table. Her Alberta Government and City Council roles developed a wonderful, unique combination of opportunity to reach out into the community and voluntary sectors and she feels truly blessed to serve in this capacity. Julie and her husband love Medicine Hat and are very dedicated in contributing to their community. Together, they feel strongly about the importance of family life. They have three wonderful children!